Would it be inappropriate to give myself an Easter basket? Let’s be honest, Annie is too young to remember this holiday. And what do you put in an infant’s Easter basket anyway? A bunch of pumped milk shoved into plastic eggs? Unconfirmed. I got her a Pete the Cat book about Easter (Pete the Cat is THE BEST) and we’ve already read it a couple times. She loves it. And just wait until you see her Easter outfit. It’s THE BEST. 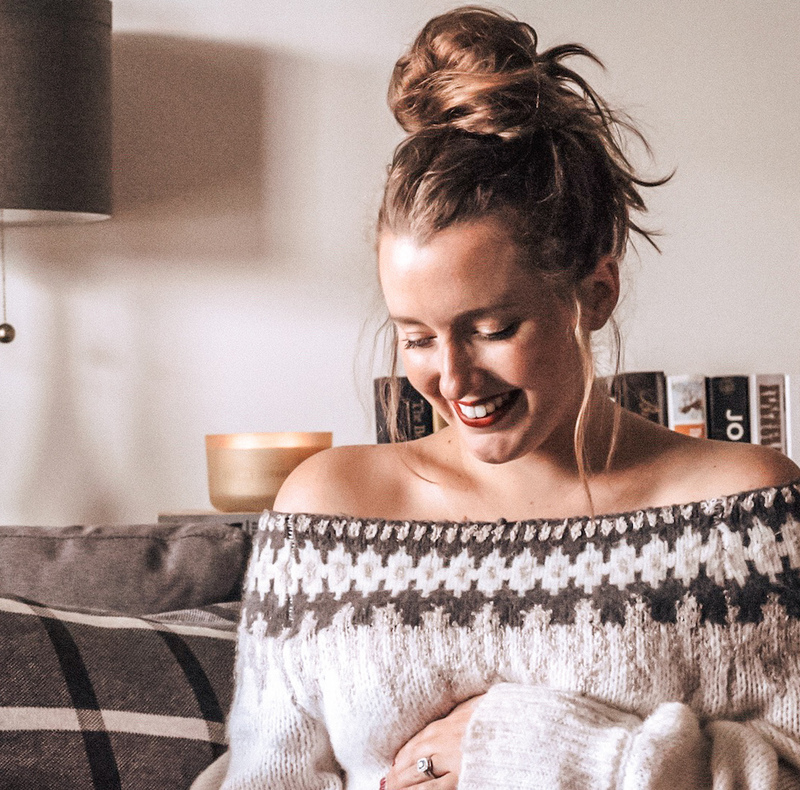 Come Easter break, we’ll be three months postpartum, and mama needs some self care. A girl can dream – in my fantasy Easter scenario (is that a thing?) 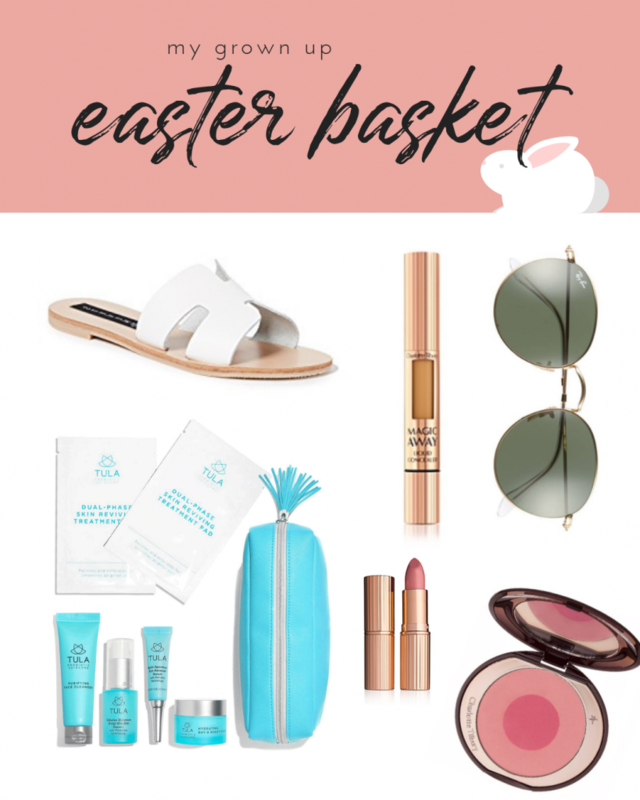 a small, adorable bunny brings me a basket full of my favorite Charlotte Tilbury makeup, some Tula skincare products, a pair of Ray-Bans I’ve had by eye on, and some cute new Spring shoes. And possibly some white chocolate because I’ve been having a craving. And some Skittles. I don’t think that’s too much to ask of a rabbit! What do you guys do for Easter? It’s always been a pretty low key holiday in my family, and we’re still working out new traditions since Tanner and I brought our families together. We like to get dressed up and go to church with Tanner’s crowd, then have Sunday dinner at Grandma’s house. It isn’t a great deal different than any other Sunday, but Annie is the first grandbaby so far. I’m sure every holiday will take on new meaning now that there’s a little one to share them with! Happy April!